Get ready for a tropical vacation – whenever you want! 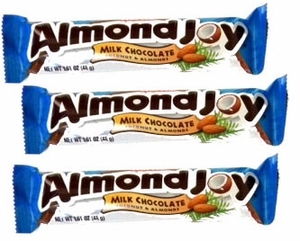 Almond Joy has a coconut flavor that conjures images of palm trees, beaches, and rolling waves. At Blair Candy, we love the unique combination of coconut, almonds, and milk chocolate, and we’re always ready to dig into some Almond Joy candy for a quick getaway to the islands. 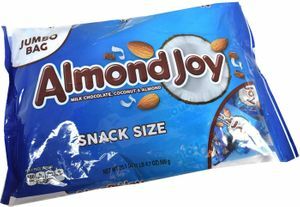 With Blair Candy, you too can enjoy the yummy goodness of Almond Joy Candy Bars. Our box of 36 candy bars will guarantee that no one goes empty-handed!